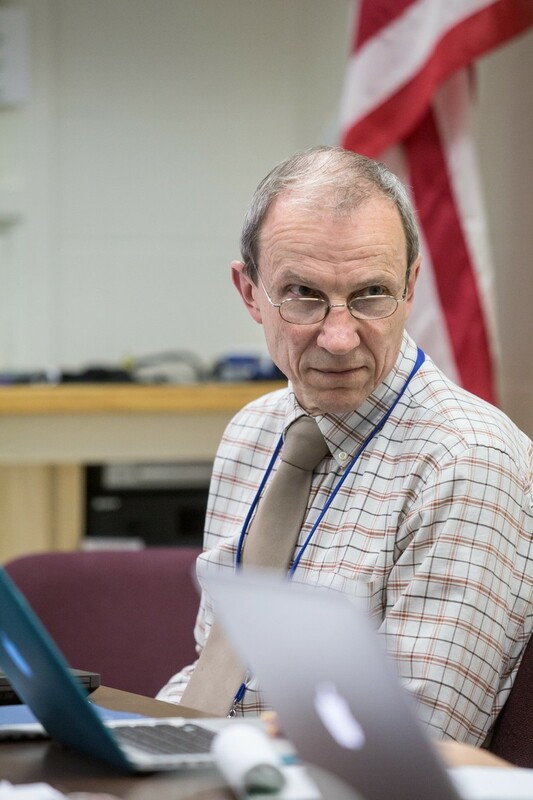 David Larcombe at a recent school board finance committee meeting. Hours after Burlington Superintendent Jeanne Collins agreed to resign her post — at the school board's bidding — her finance director, David Larcombe, followed suit. Larcombe sent his resignation letter to Collins this morning, writing, "It is with intense sadness at the loss of what might have been, and what might be ahead, that I send you the attached letter." Collins forwarded his resignation to the board shortly afterward. Larcombe, who could not be immediately reached for comment, did not cite specific reasons, but his letter suggests he'll leave on less-than amicable terms with both the board and the city administration. "In recent months I have witnessed the School Board and City government going in a direction that I believe represents serious risk for the District (my opinion, I recognize) and adopting a manner that is not collaborative." Like Collins, Larcombe has been in the middle of the controversy over the school district's budgeting problems, which produced repeated deficits in recent years. The district has also failed to properly pay payroll taxes, for which it's facing fines from the Internal Revenue Service. During recent board meetings, Larcombe has expressed frustration with board members who have criticized a lack of "accountability" in the school's financial system. He has repeatedly remarked that "from day one," he was completely transparent with the board about the state of the district's finances. Larcombe was hired as the district's budget director two years earlier; he assumed the finance director post in July 2013, after Karen Groseclose resigned. He was the district's fourth finance director under Collins' tenure, and he will step down June 30, which is also Collin's final day with the district. Patrick Halladay, the board chair, could not be immediately reached for comment.